Staff file photo by Doug Strickland / Workers construct a basement for a town home in the Cameron Harbor development on Riverfront Parkway in downtown Chattanooga. About $200 million in new development will have gone into the downtown mixed use project when work is finished. The new year begins with the strongest economy in Chattanooga in more than a decade. A year-end survey found small businesses owners across America to be as optimistic in their business outlook as any time since the 1980s. Last year, the Chattanooga area added jobs at three times the pace of the country as a whole and the local economy is poised for another year of expansion. As the economic recovery enters its eighth year, sustaining the the same pace of economic growth and momentum is getting tougher, especially in a tight labor market with interest rates expected to edge higher through 2018. Nonetheless, the Chattanooga region is poised for growth this year from more road building, new battery-powered vehicles, additional apartment and subdivision development and continued growth in the region's changing entertainment and dining landscape. Undergoing an array of new building projects, downtown Chattanooga is expected to see a steady 2018 even though apartment construction is slated to slow down. "The multi-family market probably has reached its peak," says broker Chad Wamack of NAI Charter Real Estate Corp. "It's starting to get its plate full." With upwards of $1 billion in new construction ongoing or planned, downtown is headlining a variety of new building in the area, including hotels, student housing and manufacturing in 2018. Wamack says the overall market in the central city seems "really steady and really active." Almost 900 new apartment units are either underway or planned in or near the Southside between Broad Street and the Tennessee River alone. Also, several hundred units are going up on the North Shore. Staff file photo by Tim Barber Tennessee Gov. 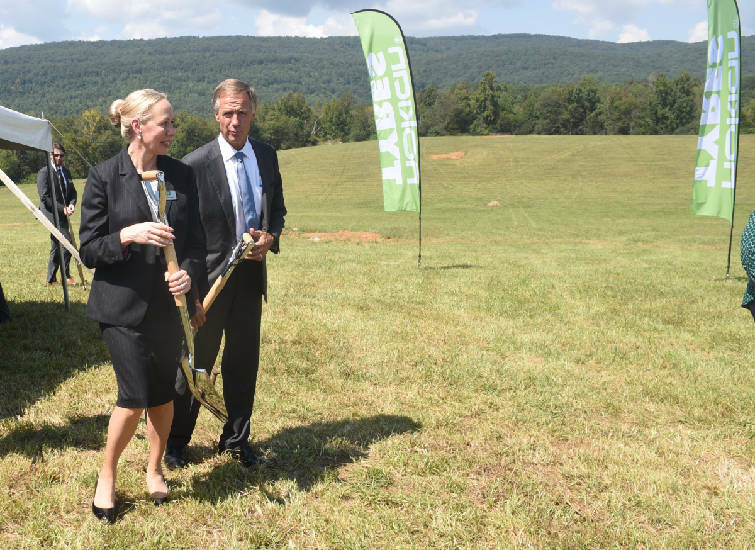 Bill Haslam, right, walks and talks with Nokian Tyres CEO Hille Korhonen Wednesday in Rhea County, Tenn., during a recent groundbreaking ceremony at the site of the planned tire plant. * $400 million: Nokian Tyres plant in Rhea County, Tenn.
* $27.1 million: Textile Corp. of America plant in Pikeville, Tenn.
"I like the nice steady growth we're seeing," Wamack says. Meanwhile, Vision Hospitality Group, Chattanooga's biggest hotel developer, plans to open a new boutique property near the Walnut Street Bridge in 2018. Vision Chief Executive Officer Mitch Patel estimates the cost of the 90-room Edwin hotel will come in at about $27 million. Room rates for the high-end, five-level hotel will be $200 and more per night, he says. It will have a rooftop pool and bar, a spa, 65 new art pieces by local artists along with valet-only parking with 118 spaces on site. "A product like this commands a higher rate," Patel says. "It's positioned in the upscale luxury segment." An $80 million, 600-bed student residence hall, dining halls and a 700-vehicle garage is to open this year on a site at Vine and Houston streets for the University of Tennessee at Chattanooga. The site was occupied by UTC's nearly 40-year-old Racquet Center and adjacent tennis courts. One of the highest profile corners on the edge of downtown will see student housing start in 2018 as a developer prepares to build a 456-bed, $38 million apartment building at McCallie and Central avenues. 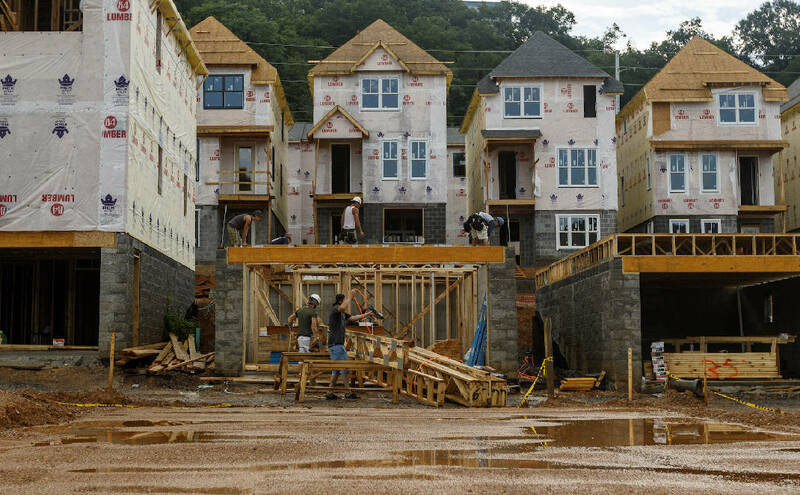 A Roanoke, Va.-based company plans to put in 138 units aimed at nearby UTC students. "It's got a lot of visibility," Wes Bradley, president of University Housing Group, says about the corner a few blocks from UTC that will hold the apartment building called Central Flats. On the manufacturing side, M&M Industries in Lookout Valley plans to expand its existing facility and start up another plant just outside downtown at 1435 E. 14th St. in Highland Park as it tries to keep up with growth. The maker of plastic pails and containers is planning a $42.7 million expansion and creating at least 110 more jobs. "Our business has expanded a great deal," says Glenn Morris, the company's chief executive. "We've been awarded contracts with key customers and we're developing other parts of our business." In Rhea County, Finnish tire maker Nokian Tyres will be in full construction mode in 2018 building a $400 million plant. When work is finished at the 330-acre site, the factory will initially employ about 400 people. Dennis Tumlin, Rhea County's Economic and Tourism Council executive director, terms the new plant "a regional project." Nokian officials have said the 830,000-square-foot plant will position it as a key player in the all-season tire business. The company, known for its winter tires, wants to double annual North American sales in five years. In Bledsoe County, Textile Corp. of America is moving toward the start-up of production of apparel, bedding and linens. In the biggest private investment ever in Bledsoe County, the company is spending $27.1 million to buy and upgrade a vacant 186,000-square-foot factory building in Pikeville. The new company, which is owned by Chattanooga developer and businessman Ed Cagle, hopes to quickly increase the staff to 1,000 employees.